Compare to Uline S-3930 and Save! 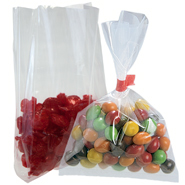 These 12 x 250 Bubble Wrap protect fragile items as excellent cushioning and void-fill. These 12 x 250 1/2 Bubble Wrap with 1/2" bubbles protect against vibration and abrasion and are great for shock absorbtion. These Bubble Wrap are LTL carrier shipping only, 4 rolls per case.